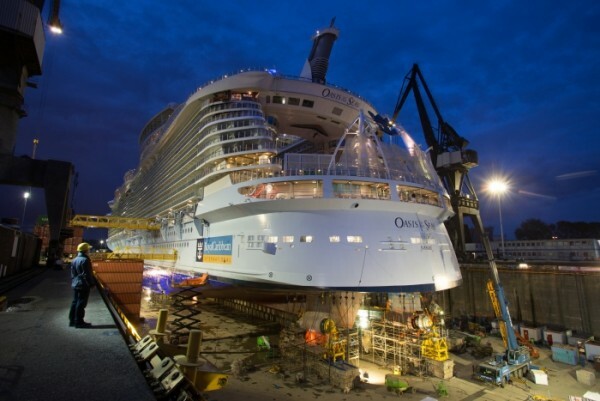 Royal Caribbean International has announced that the Oasis of the Seas, which completed a 14-day drydock today, has a new look, including “reimagined dining,” high-speed internet, new retail offerings, a new Broadway show, and new suites with exclusive suite dining and a lounge. Royal Caribbean’s Dynamic Dining offers guests more choices and flexibility by offering 20 restaurants, said to be as vast and varied as dining in the world’s most cosmopolitan cities. The cruise line has “recreated” the original Oasis-class three-story main dining room into three distinct venues introducing new concepts each with their own cuisine and ambiance: The American Icon Grill offers guests a take on the classic American road trip, pulling together regional favorites into a comfort-style menu; Silk features a Pan-Asian menu; and The Grande, with formal dining. 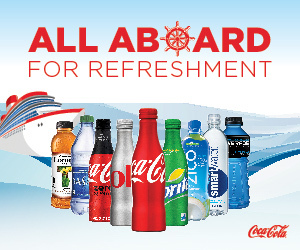 Menus of the new concepts will be introduced beginning March 14, 2015, onboard Oasis of the Seas. Prior to that, guest will have the traditional dining room experience in the newly designed spaces. Another part of Dynamic Dining is a selection of specialty restaurants including four new concepts: The Izumi Hibachi & Sushi, a “reimagined” Izumi Japanese Cuisine offering a full teppanyaki menu as well as sushi rolls and sashimi; the Sabor Taqueria & Tequila Bar, first introduced aboard Navigator of the Seas , will feature a menu of authentic and modern Mexican dishes, including hand-made tableside guacamole. These dishes can be complemented by a curated beverage menu of tequilas, mezcal, and Mexican beers, as well as sangrias and tableside-mixed margaritas; Wonderland Imaginative Cuisine, a culinary adventure for the senses where chefs will “twist their culinary kaleidoscopes in a whimsical setting that challenges the imagination with never-before-seen fare;” and the Coastal Kitchen, an exclusive restaurant for suite guests and Pinnacle members, that “fuses Mediterranean influences with the California’s farmlands and features.” The experience is complemented by a wine list, curated specifically for the venue. Finally, there is Giovanni’s Table, 150 Central Park and Vintage Wine Bar, a specialty dining concepts introduced on the Oasis-class in 2009. Behind the scenes, Royal Caribbean is promising that its broadband connection will be faster than all other cruise ships combined. It said that these new capabilities will allow it to offer affordable, easy-to-use Internet packages so that guests may watch streaming video, check email, share images on social media and enjoy face-to-face video conversations – even in the middle of the ocean. In addition, the Royal iQ is a new app enabling guests to make dining reservations, shore excursions and spa appointments onboard, through both a downloadable app and at freestanding iQ stations around the ship. Guests also can use Royal iQ as a calendar that provides at-a-glance views of their program and to keep in touch with one another and home via phone and text capabilities. Ten new suites are being introduced on each of the big ships offering views of the ocean or the ships’ AquaTheater and Boardwalk neighborhood. There are two Royal Suites, six Grand Suites and two Royal Family Suites, which can accommodate up to six guests. These suites are paired with the variety of new amenities, including: The Suite Lounge, an exclusive lounge area for suite guests; The Sun Deck, a deck area where suites guests can soak-up the Caribbean sun with lounge furniture, shaded and seating areas and private service; and the Coastal Kitchen, which is a suites-only full-service restaurant offering breakfast, lunch and dinner with a Mediterranean flare. The Oasis of the Seas will feature the Broadway show CATS at sea for the first time. Beginning June 2015, the sister ship, the Allure, will feature MAMMA MIA!, the musical based on the ABBA story. Royal Caribbean is also introducing new store designs such as kate spade new york to the Oasis on its Royal Promenade, a first at sea. Rounding out the onboard shopping are Michael Kors and the Britto Art Gallery, as well as a new line-up of merchandise and fashion jewelry: Alexis Bittar, Uno de 50, Lauren G Adams, and Nina Nguyen. 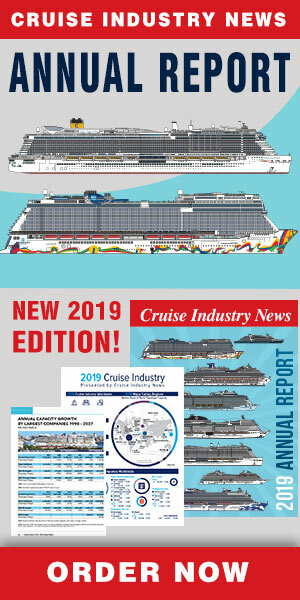 The cruise lines said that these enhancements take many of the best features it has created in recent years and introduces them to its newest ships.